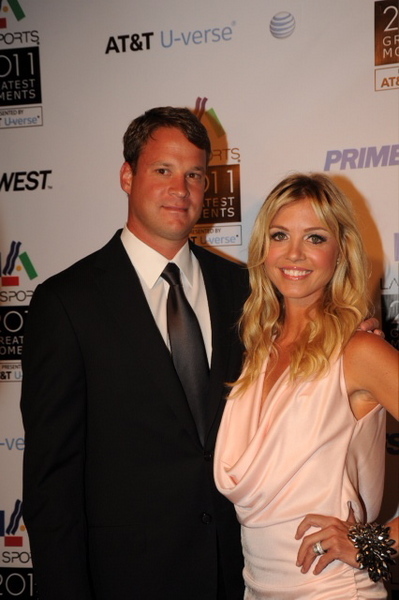 Lane Kiffin was named Los Angeles Coach of the Year at the LA Sports Awards last week. His wife Layla accompanied him on the red carpet. Previous Coach of the Year winners were: Bruce Arena, L.A. Galaxy (2010); Mike Scioscia, L.A. Angels (2009) and Phil Jackson, L.A. Lakers (2008). What a great looking couple…..